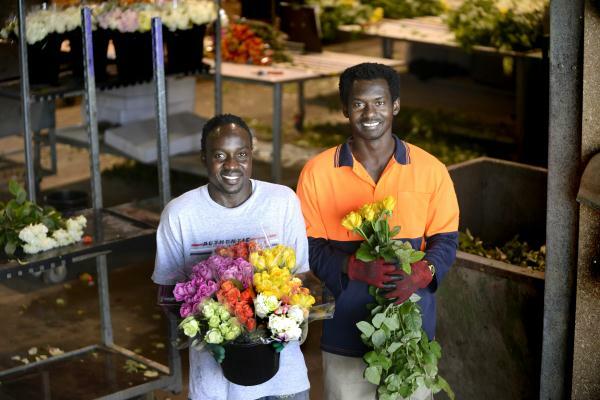 FINDING a job hadn’t exactly been a bed of roses for Sudanese-born asylum seekers Eisa and Muhummad. That was until the pair were recently given a start at premium-rose farm Bloomin’ Koomen in Pakenham. 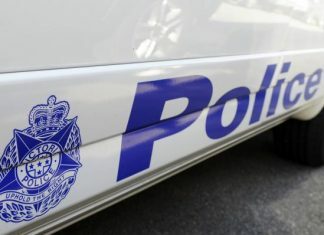 Farm owner Kees Koomen said he had struggled to find workers anywhere near as reliable and grateful as Eisa and Muhummad, who were put forward by a job-sourcing service at Asylum Seekers Resource Centre in Dandenong. For the past four months, the new employees have commuted without complaint from Endeavour Hills to pick, package and water roses up to six days a week. They arrived at work on time and they didn’t pull sickies, Mr Koomen said. “They appreciate having a job. They never complain about it. They’re happy to be here. Sonia Mackie, of the Asylum Seekers Resource Centre, has helped about 25 asylum seekers get a job since September. “The feedback I get from employers is these guys are so motivated,” Ms Mackie said. “They want to fit in, they want to work and they are prepared to travel. Many of her clients have been happy to do volunteer work; they’re happy to just get out of the house. “It helps them get their minds off their visas – all they’re thinking is what’s going to be happening to me?” Ms Mackie said. Eisa and Muhummad’s relief at having a more settled life is obvious – though they are still waiting to know if they will be accepted as refugees. To arrive in Australia, they survived a stormy three-day ride without food and water in an overcrowded, leaky boat from Indonesia, paying $3000 each for the privilege. Eisa had worked in a clothes shop in Sudan, and wants a job that helps others, such as at an international aid agency. Muhummad left behind a dangerous and blisteringly hard job in diamond mines. He wants to work in banking, estimating his life is 80 per cent better since landing his rose-farm job.“I’ve got stability,” he says.